I was going to review Disney's Old Cinderella, but as I thought about the review... I realised that I haven't seen this version since I was very small. Hence the fact that I would not be able to give a nice review, because I only really remember some random details about it. (I really need to go watch this one again, just for the nostalgia...) So I'm going to do a post about some of the random reasons I like Cinderella. And by Cinderella, I mean the old, and the new. 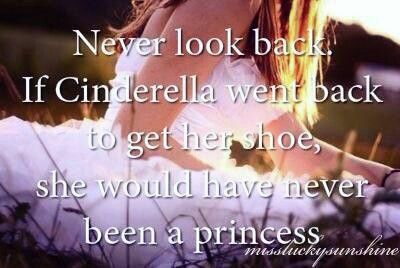 I love how adaptable Cinderella's story is. How you could take it and put it in any setting, any time, and it still would be the same timeless story. You can't do that with every fairy tale. Or ever story for that matter. It's something sort of special about Cinderella. I love how all the mice call Cindere-elly. I mean, it's the cutest thing ever. Just saying. And their squeaky little voices when the giggle about Cinderelly? So cute!! I love how the versions of Cinderella that are the most whimsical, swishy, and generally beautifully blue movies evah. End of story. I love how patient and sweet, humble and forgiving, courages and kind, hardworking and patient, and level headed and honorable she is. Cinderella is a model to us all. I love how Cinderella makes clothes for all her animal friends, and how sweet they are to her. I mean the scene where they help her get dressed? Tis adorable. And I love that gorgeous dapple gray horse Ella rides, and the adorable goose that shows up un all the frames, even her wedding. Those are some of my random favorite things about Cinderella. What are some of yours? 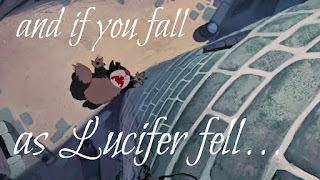 I don't know if you've ever seen Tom and Jerry before, but if you have, have you ever compared it to the Lucifer vs. mice scenes in Cinderella? So, I ought to admit...Cinderella just isn't my favorite. I love the new one, but the cartoon...not as much. It may result from only seeing it once or twice as a kid. But I can certainly appreciate the story as a whole. Yes! I have seen those ones. They are really cute. Yes, I know what you mean.... I love Cinderella now mostly because of the new one... But I LOVED her when I was little, because I'd watch the animated one everytime I went to my Grandparent's house. When I stopped, I kind of moved on from Cinderella.... Until the new one came out that is. Ha ha, that picture is awesome. Thanks of sharing, Abigail! And yesssss.....the mice are SO cute. My younger siblings and I laugh so hard whenever we hear them! Not a problem!! They are soooo adorable. I love how they call her Cinderelly. Ya, it was one of those random scenes that stick out in my mind.... No idea why though. Isn't point #1 amazing?! And YES, on the swirling blueness. Yes! Her story is so cool!! The animated Cinderella was the first princess movie I showed to my kids, and my daughters still love it. It's pretty much the only animated princess movie I liked when I was a kid, and much of that is because Cinderella herself is smart, kind, and helpful. So I'm quite happy to watch it with my daughters every now and then. Those beads -- they go allll over. Makes me so sad for Gus-Gus and Jacques, who spent so long collecting them in the first place. Aww! Yes, it's a great movie for the family.